The meeting discussing the plan to down Air Force One allegedly took place at the kingdom’s embassy in Washington DC. This and other meetings allegedly involved some of Saudi Arabia’s top princes and billionaires, including then-Prince Salman – brother to the late King Abdullah and now the King of Saudi Arabia. If Moussaoui’s testimony holds up, the view of Saudi involvement in attacking the United States and its alleged double-dealings could be changed profoundly. Apparently from 1998 to 1999, Moussaoui was tasked by the Afghan terrorist branch with creating a digital database of Al-Qaeda donors, including Prince Turki al-Faisal, the former chief of Saudi intelligence, as well as others, mostly billionaire businessmen and leading clerics. “Sheikh Osama wanted to keep a record” of the money flow, Moussaoui’s testimony says, adding that he acted as courier for Bin Laden himself. NY Times also recounts Moussaoui describing in detail the training he received in the camps, as well as a trial run of a 750-kg bomb that was to be used on the American embassy in London – and later the embassies in Kenya and Tanzania. But what would surely be a major blow for the US, Moussaoui also revealed plans to down the president’s Air Force One airplane with a Stinger missile. This was apparently discussed with the Islamic Affairs Department of the Saudi embassy. “I was supposed to go to Washington and go with [a visiting Saudi official]… in order to find a location where it would be suitable to launch a Stinger attack and then, after, be able to escape,” Moussaoui went on. His arrest allegedly came on the eve of that scouting trip. There were attempts in 2006 to present the terrorist as insane, due to some instances of erratic behavior, but that didn’t fly with the judge, despite a psychologist’s diagnosis. And so he was deemed fit to stand trial. In fact, “he has actually a better understanding of the legal system than some lawyers I’ve seen in court,” Judge Leonie M. Brinkema said at the time. She also called him “an extremely intelligent man” and said she was “fully satisfied” with his mental state. The Saudis didn’t take kindly to the possible impact these revelations could have. Judgment on Moussaoui’s mental health is what could make or break the credibility of his testimony. And when submitting it on Monday, there were no indications whatsoever that the 9/11 attacker was not of sound mind. According to NY Times, on the same day, the Saudi embassy referred to how the September 11 commission flatly rejected the possibility of such a relationship, pointing to how “Moussaoui is a deranged criminal whose own lawyers presented evidence that he was mentally incompetent.” They were alluding to his earlier mental diagnosis. “My impression was that he was of completely sound mind — focused and thoughtful,” said a Philadelphia lawyer questioning him. It should be noted that allegations of ties between top Saudi businessmen, the political elite and Al-Qaeda are nothing new. They have been substantiated by evidence in the past. Bin Laden himself was the son of a Saudi construction magnate, and the money trail existed before the 2001 attacks. At the same time, it’s also known that the Saudi family had collaborated with the US as well to finance Islamic militants, many of whom ended up in what would later become Al-Qaeda. This was during the Soviet campaign in Afghanistan in the 1980s. This is not the most convenient time for Moussaoui’s allegations to surface. It has only been two weeks since the death of King Abdullah, succeeded by King Salman – his brother – who Moussaoui had also allegedly been involved with. President Barack Obama and Secretary of State John Kerry visited the kingdom recently, signaling the strong ties that exist between the two countries. The world at large continues to blast Saudi Arabia and its international partners for the atrocious human rights situation that still persists there. 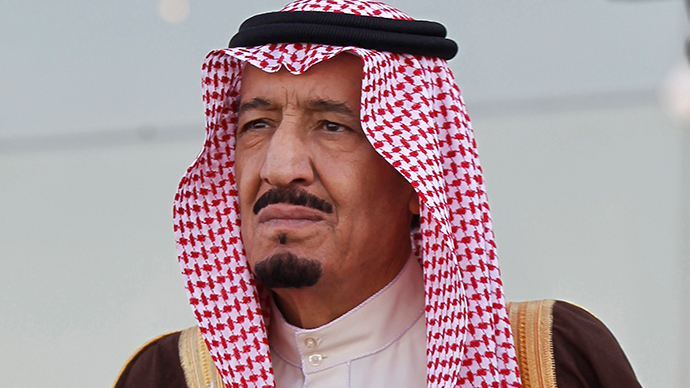 There have already been four executions in the weeks since Obama’s new friend King Salman acceded to the throne.